Michael Alec Anthony West (born 27 August 1964 in Islington, London), better known as Rebel MC, is an English jungle producer and toaster. 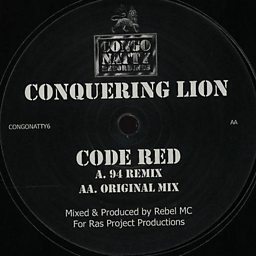 He has also used the aliases Conquering Lion, Congo Natty, Blackstar, Tribe Of Issachar, Lion of Judah, X Project and Ras Project. "Conquering Lion" is an abbreviation for "The Conquering Lion of the Tribe of Judah", one of emperor Haile Selassie's many titles.